We would love to give you a little taste of Colombia's culture, beautiful colors, amazing people, and, unfortunately, her suffering, so you can better understand her desperate need for the true Gospel. 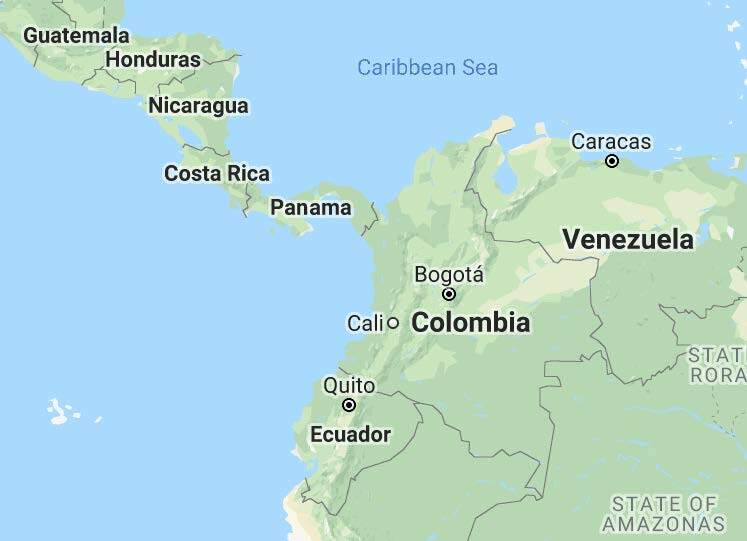 God has blessed Colombia with an incredible wealth of natural resources – oil, alloys, agriculture, and fishing, banking, textiles, chemical industry, plastics, precious stones, pharmaceuticals, communications, media, transportation, and etc., as well as an exceptional wealth of human resources. Unfortunately, Colombia has struggled under violence and corruption for many years. Colombia has over a million orphans, has the highest rate of child trafficking in the world, has the world's third largest practice of satanism, and is the world's leading producer of cocaine. Most Colombian churches use Biblical words but offer a false gospel — promising prosperity, temporal success and relief from suffering, but never teaching God's eternal truth as revealed in Scripture. Millions of souls believe they are saved and sadly are being deceived. The following video clips show a glimpse to of a typical church service in Colombia, the growth of false religions, and how misunderstood the concept of the church is. Please pray for the Colombian people, that they may grow rich in the knowledge and love of Christ, and that their holy conduct may change their country to the glory of God.